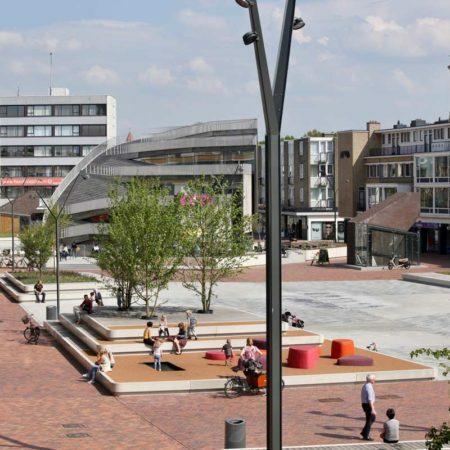 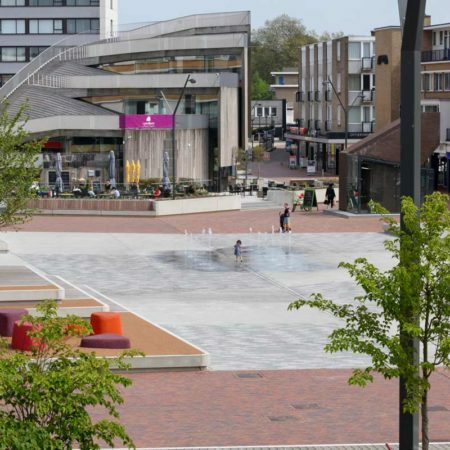 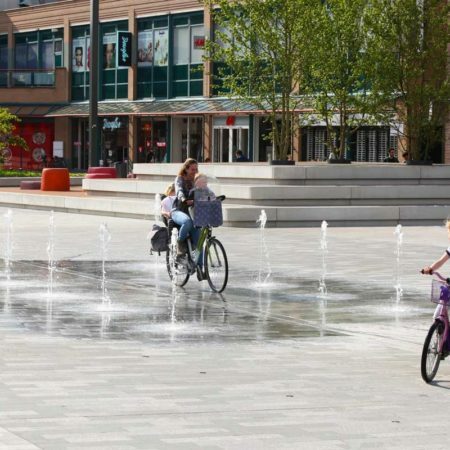 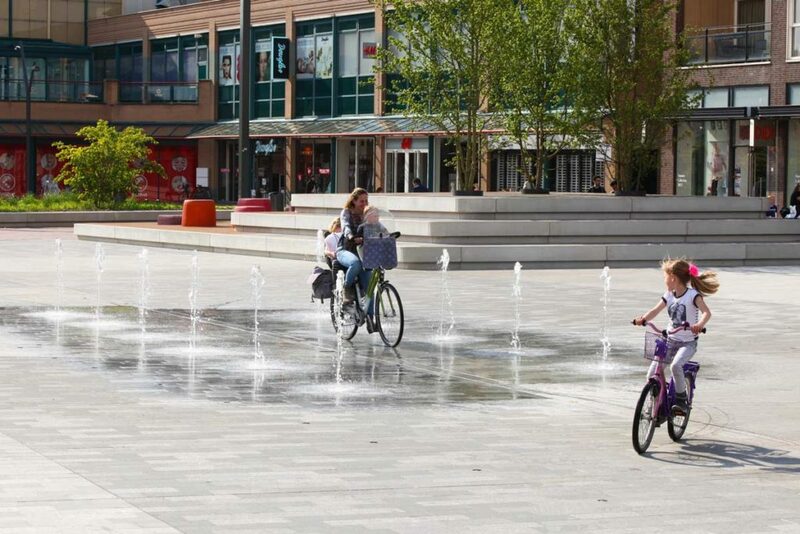 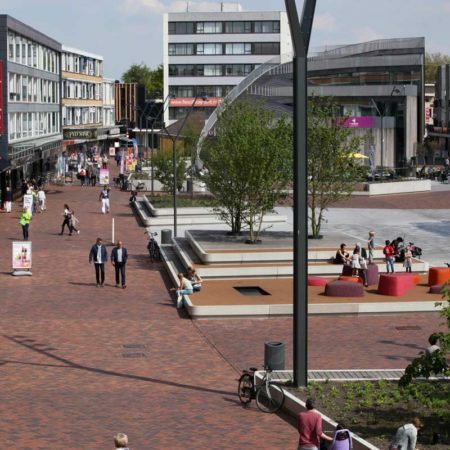 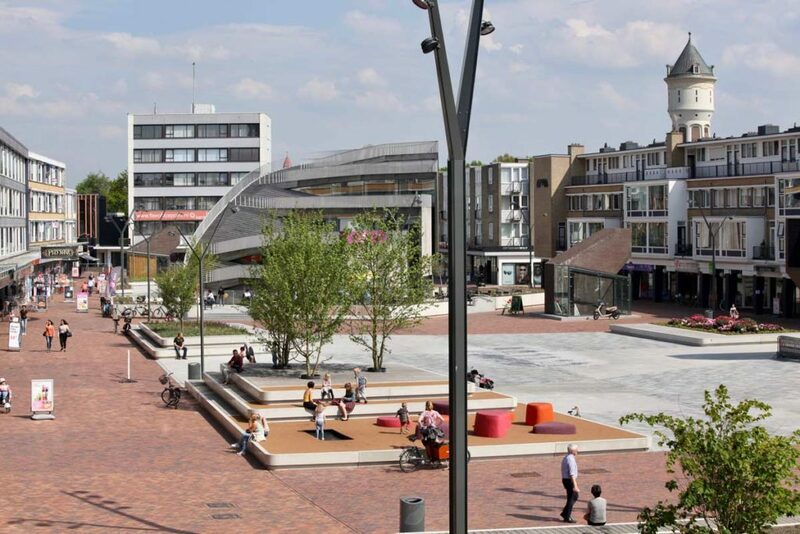 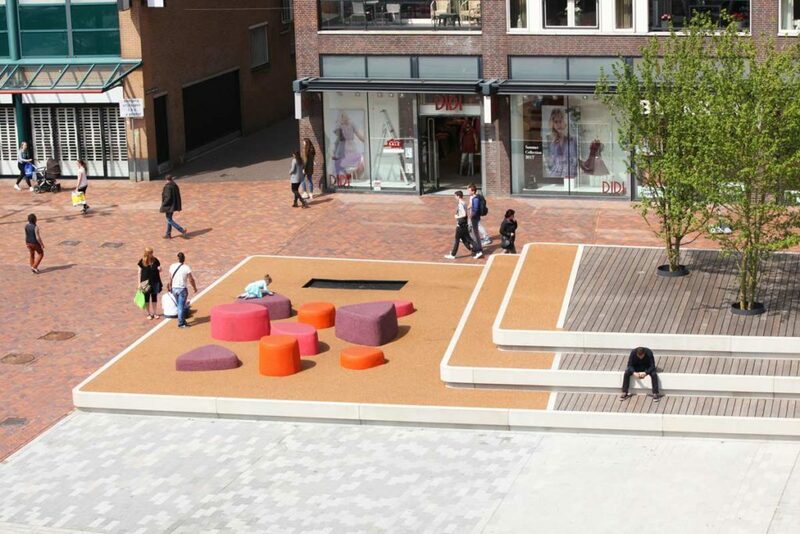 This 10.000 m2 town square in the Dutch city of Roosendaal was once designed as a parking facility. 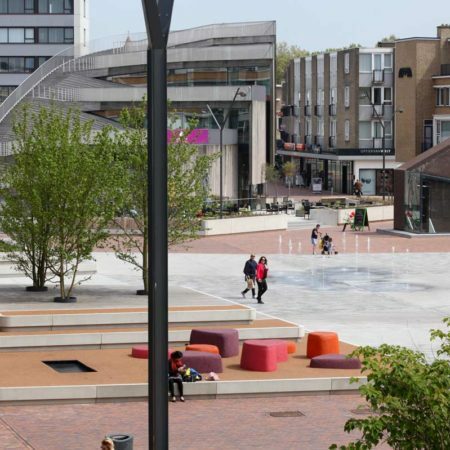 Ten years ago, however, an underground parking was constructed, and the former groundlevel parking area became a large dull and windy public space, despite the newly built Pavilion. 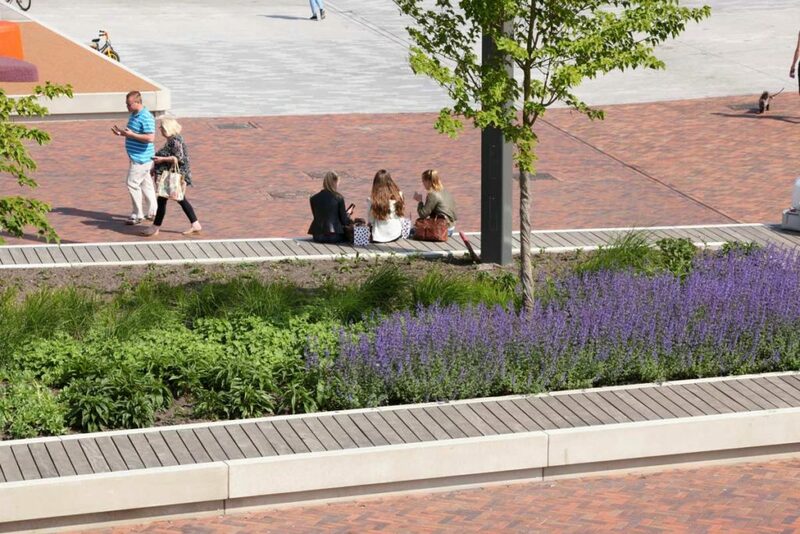 In 2015 the City Council therefore initiated co-design sessions with various stakeholders in order to transform the square into a vibrant multifunctional public area. 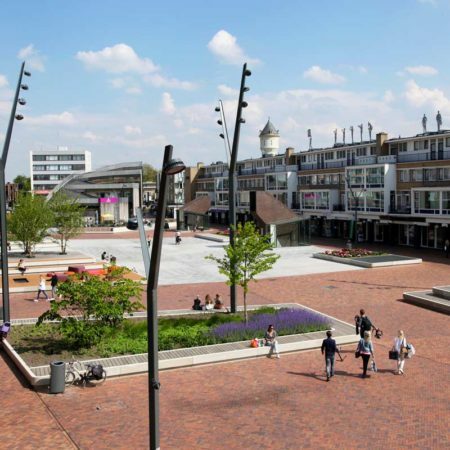 Design office ipv Delft was first asked to help guide these design sessions and eventually made three design proposals out of which city and stakeholders chose the final design. 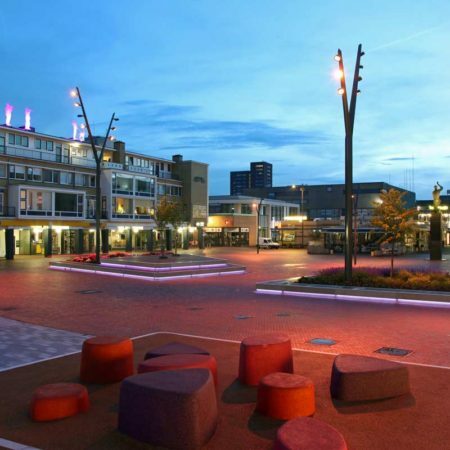 The large square has been divided into three interconnected main zones. 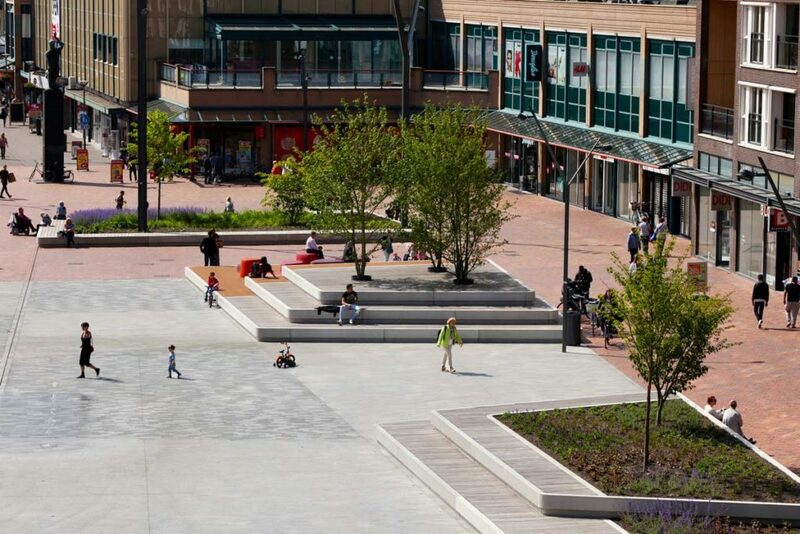 On the west side there’s two large concrete raised planters with seating. 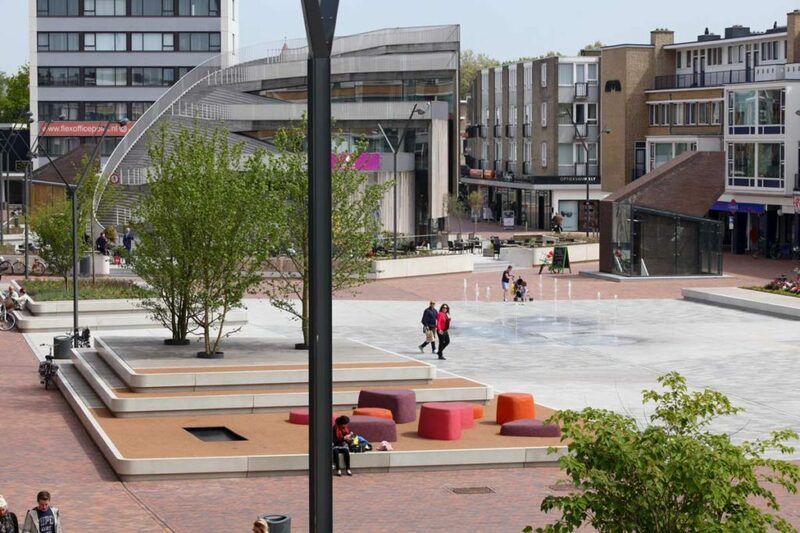 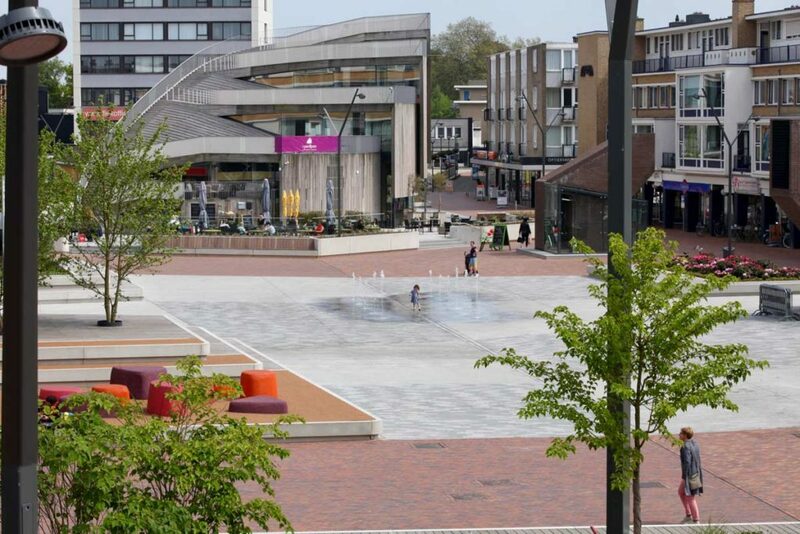 In the middle, a natural stone paved water square has been created, cornered with another four concrete raised areas containing both seating facilities, planters and a play area. 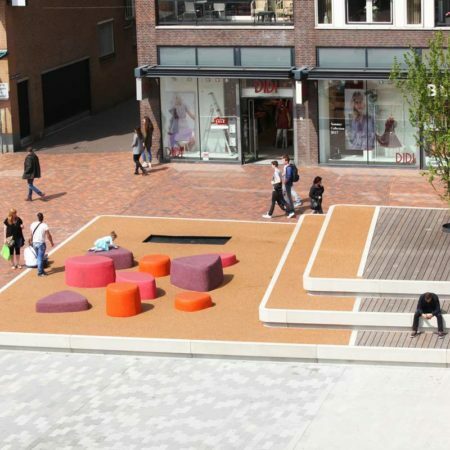 The play area features custom designed rubber grain climbing objects and an underground trampoline. 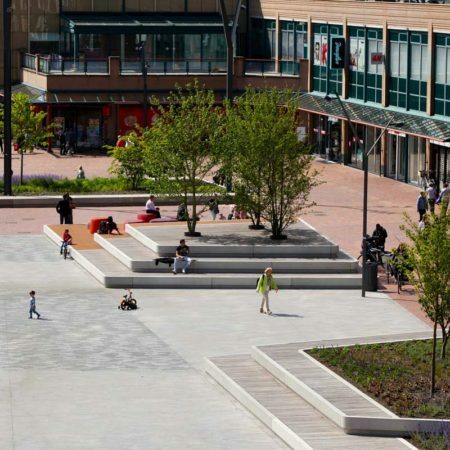 The third and largerst zone is centered around the existing Pavilion. 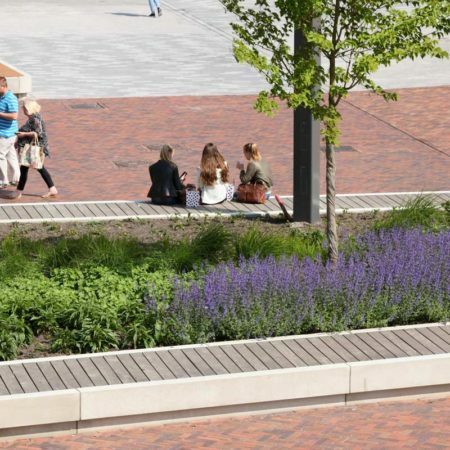 Here, we raised the square’s street level and created a comfortable seating area enclosed by concrete planters with glass screens at the front of the building. 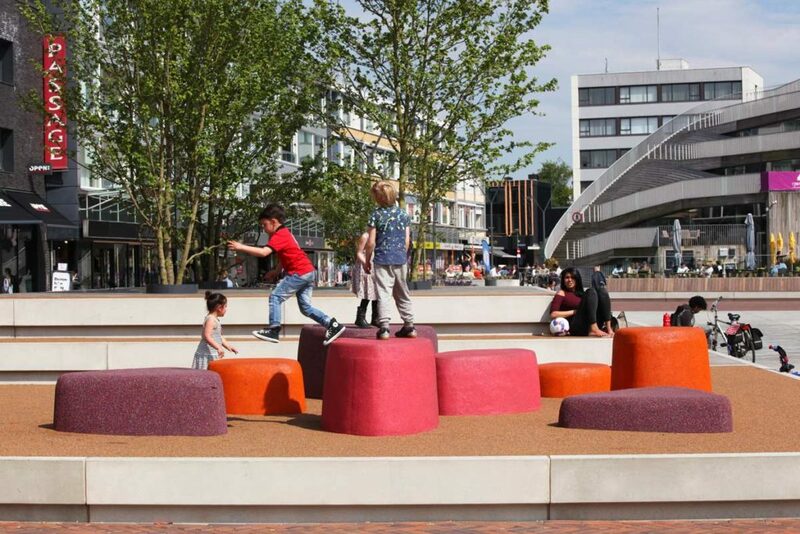 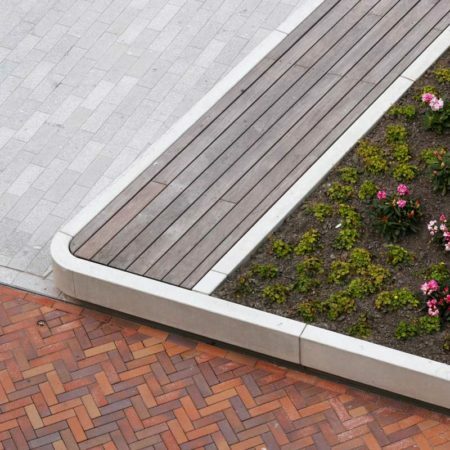 At the back, the raised square with concrete planters and seating has been fitted with integrated steel grind rails, providing a multifunctional space that can be enjoyed by skaters as well as the general public. 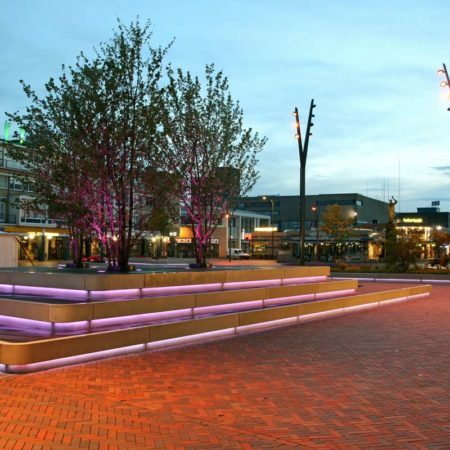 The entire square has been further enhanced with new brick paving in two different warm palettes and custom designed lighting. 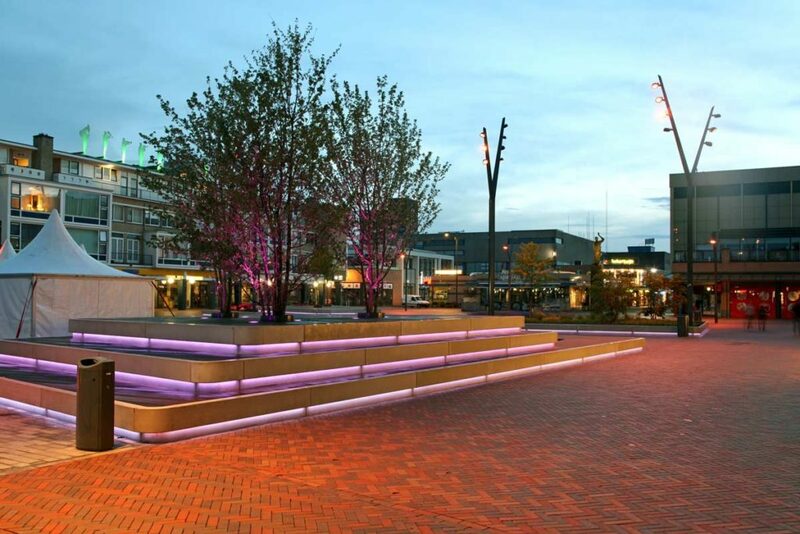 We designed a characteristic steel dual light pole and made the overall lighting design. 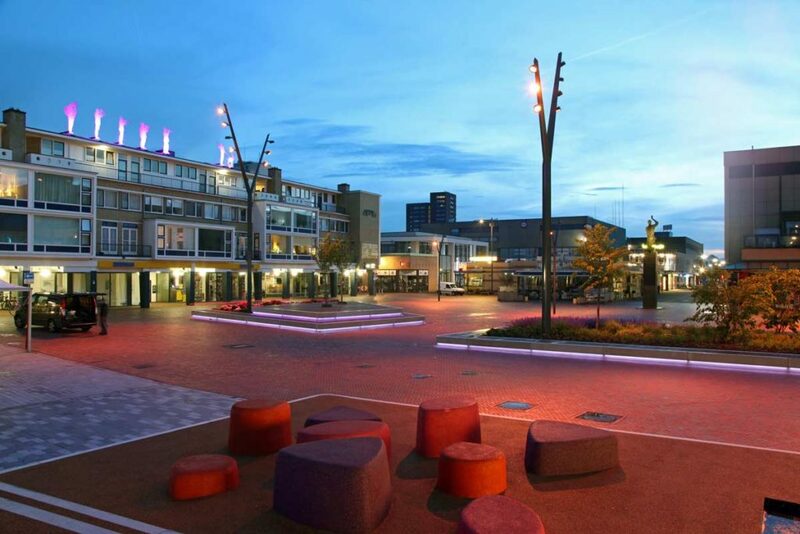 All lighting has been fitted with RGBW fittings, which allows limitless possibilities regarding light colour. 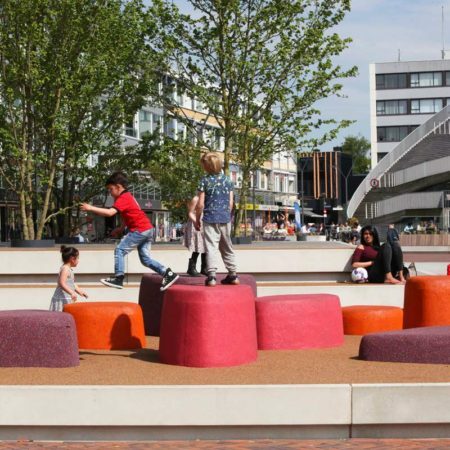 We believe this project has really turned a dull and windy public space into a multifunctional and attractive area for all citizens and tourists to enjoy. 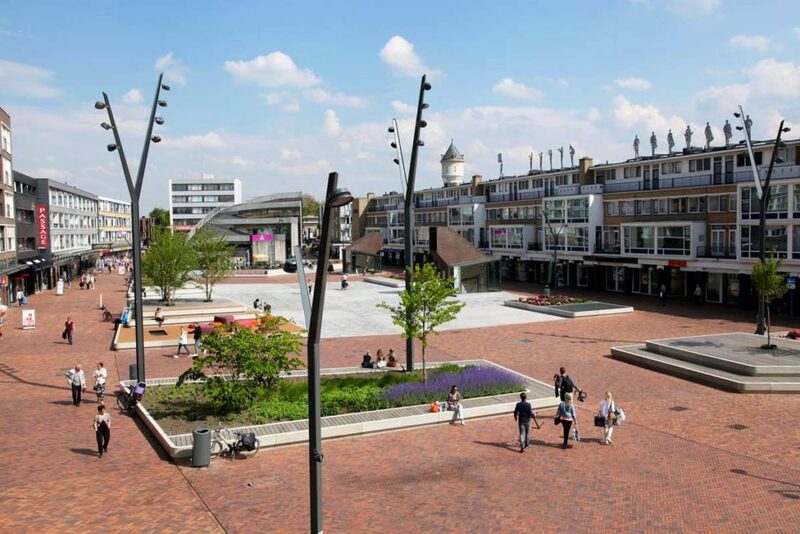 The Nieuwe Markt has become the much needed area Roosendaal city council was looking for: a vibrant and lively town square used and loved by locals and visitors alike. 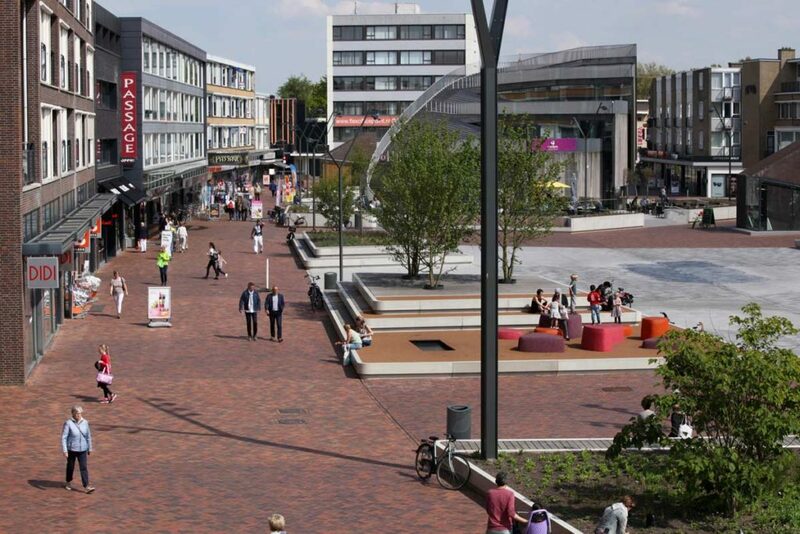 Before, it was just an empty space. 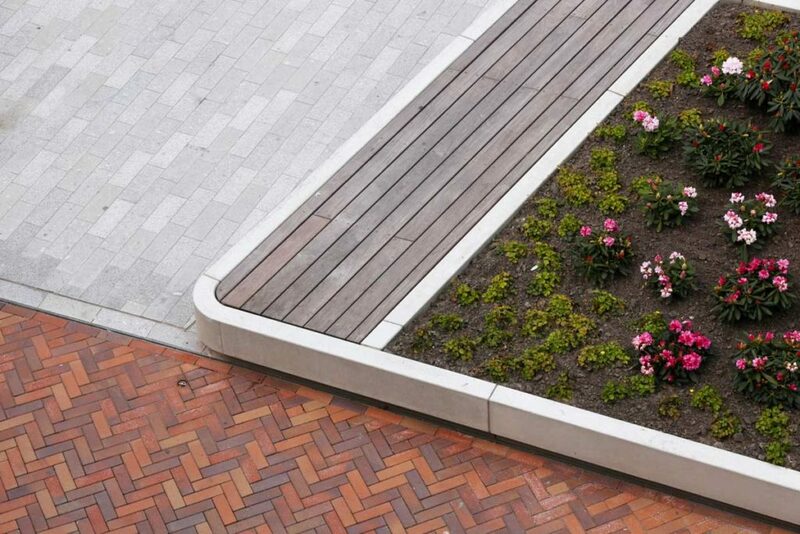 Now, possibilities are endless.